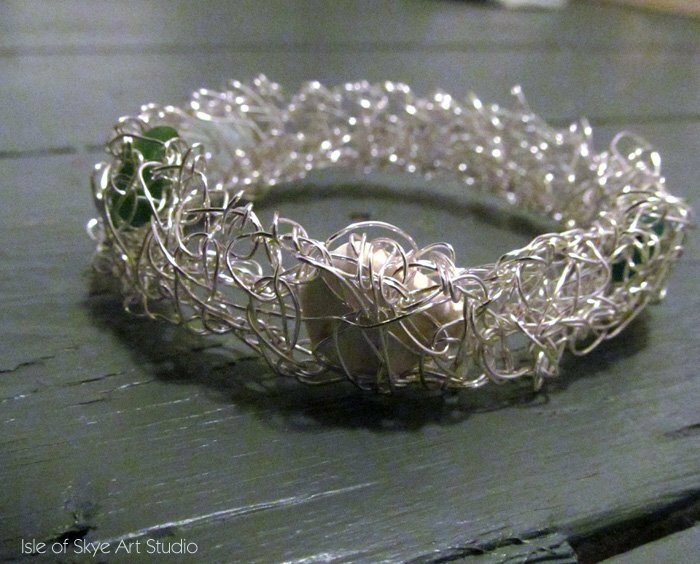 Awake early, I made a wirework bracelet with a few of the small pieces of seaglass I found yesterday. Going to wander down to beach again this morning to see if I can spot any more. Next PostNext Lost Your Marbles?